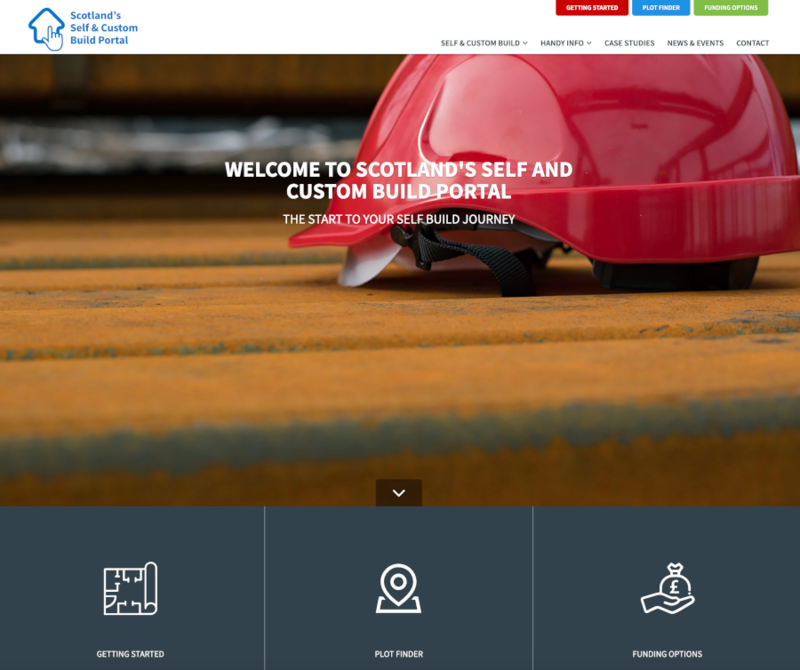 Self and Custom Builders building in Scotland have a new resource in the recently launched Scotland Self and Custom Build Portal. Like NaCSBA’s Self Build Portal, the site provides advice, guidance and support for anyone wanting to build in Scotland. The Portal was created thanks to the Self and Custom Build Housing Pilot Challenge Fund, which was launched by Scottish Government to test new models for growing the sector north of the border. Specifically, the Challenge Fund aimed to support new routes and models for anyone wanting to Self Build in Scotland, including alternative finance options, which would also create more opportunities for the companies servicing the sector, such as small building firms. The Highlands Small Communities Housing Trust (HSCHT) submitted an application for the Challenge Fund with its idea of creating a new dedicated portal for Scotland, to offer support and advice around the Scottish context for Custom and Self Builders. The HSCHT have previously supported a range of Self Build projects and created new finance models to make Self Build more accessible. Like NaCSBA’s Self Build Portal, the Scottish portal offers support and advice tailored to Scotland’s devolved laws, giving insight into the local situation, including legislation, finance and Scottish plots. An interactive ‘Getting Started’ tool also gives would-be-builders a ready reckoner of costs depending on the amount of work they’re prepared to do themselves. Its plot service offers a route to land for anyone looking to build, as well as a service for landowners to advertise their land in Scotland.